Аналоги: 36. Видео: 1. Даташиты: 9. Инструкции: 5. Новости: 15. Остальное: 1. Производители: 2. Профиль пользователя: 1. Расчёты: 1. Торрент: 2. Форум: 5. Чат: 1. 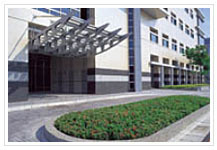 Richtek Technology Corporation is one of the world’s leading analog IC companies. The company consistently delivers inventive power management solutions that improve the performance of consumer electronics, computers, and communications equipment. Richtek adds value to end equipment by synthesizing technological innovation, uncompromised quality, and devotion to customer service. Founded in 1998, the Company is headquartered in Taiwan with additional offices in Asia, the U.S., and Europe. Richtek is publicly traded on the Taiwan Stock Exchange under the ticker symbol 6286. С Новым 2013 годом и с Рождеством! Copyright. Техподдержка: support@rh.md. Кодинг: xoops.ws. PHP: 0.21 сек. MySQL: 44 запросов.